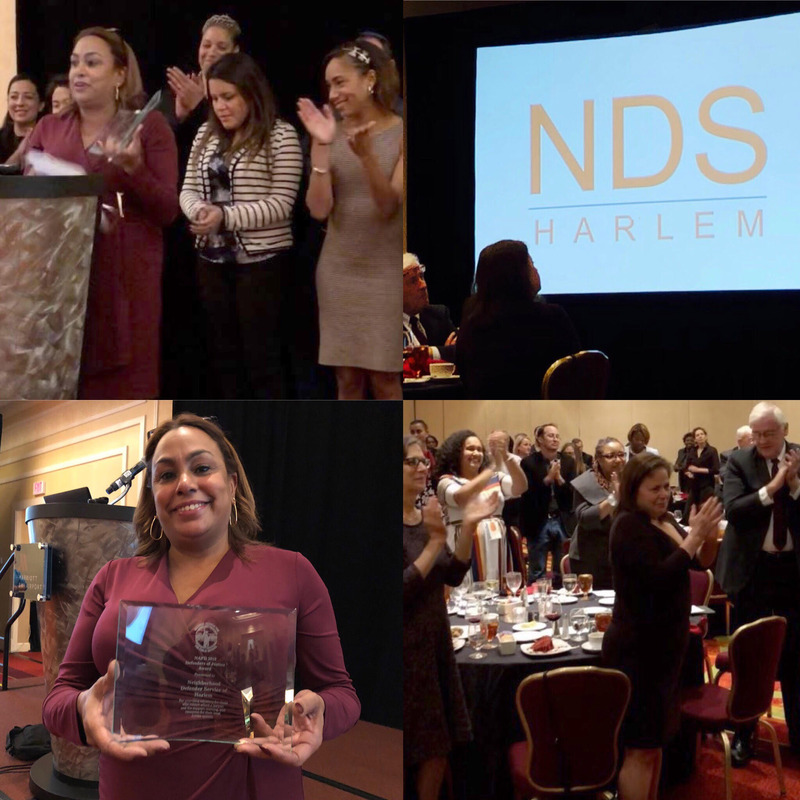 Baltimore, MD (Law Firm Newswire) October 26, 2018 – Neighborhood Defender Service of Harlem (NDS) has been chosen as the “Best Public Defender Office” in the country by the National Association for Public Defense (NAPD). The Award was presented Saturday evening at the NAPD: 5 YEARS OF FIGHTING FOR JUSTICE Celebration Banquet and is a commendation for outstanding achievement in the provision of public defense services. This is the inaugural year for the award. Executive Director Rick Jones said of the award: “We are proud to accept this award. The fact that the National Association for Public Defense chose to honor NDS shows the incredible power public defenders have to be the vehicle for change in our most detrimentally impacted communities. It similarly demonstrates the power of community-based advocacy to advance policies that right the systemic wrongs of the legal system. At NDS we call this, the power of public defense." In 1990, the founders of the Neighborhood Defender Service embarked on a mission to create a community-based defender office that would address the systematic discrimination that poor people face when they are accused of crimes. The Neighborhood Defender Service is a public law office that provides high-quality legal representation to residents of Upper Manhattan: Harlem, Washington Heights, and Inwood. NDS is committed to strengthening the Upper Manhattan community by assisting residents with the wide range of problems that bring poor people into court. In addition to representation in criminal matters, NDS assists clients and their families in related civil cases, provides social service assistance and conducts a number of youth leadership and crime prevention programs. The National Association for Public Defense (NAPD) engages all public defense professionals into a clear and focused voice to address the systemic failure to provide the constitutional right to counsel and to collaborate with diverse partners for solutions that bring meaningful access to justice for poor people. NAPD includes every professional who is critical to delivering the right to counsel: lawyers, social workers, case managers, investigators, sentencing advocates, paralegals, civil legal aid providers, education advocates, expert support, information technology gurus, teachers and trainers, financial professionals, researchers, legislative advocates, communications personnel, and administrative personnel.